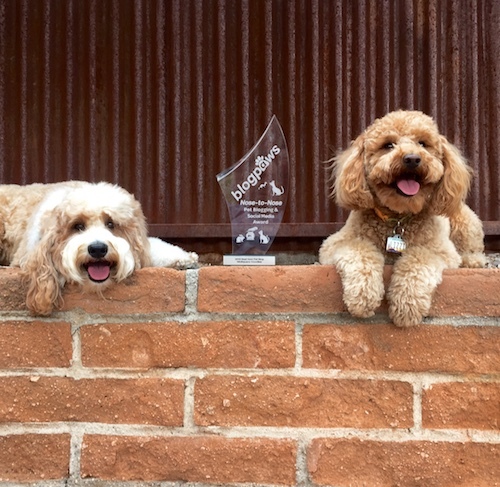 We’re thrilled to be named the BlogPaws Nose-to-Nose Award Winner for Best New Pet Blog! Thank you to the entire BlogPaws community for the vote of confidence. talking to Dr. Bentley about how our passion for therapy dogs and labradoodles inspired us to start this website. We were interviewed by Christy Caplan for Rover.com’s article Why Do Dogs Chase Their Tails? about Lizzie’s affinity for chasing her tail when she was a puppy.